The driver in a hit and run crash with a bicyclist has been identified by authorities. Previously, we reported that a bicyclist was hit on Saturday night on Revere Beach Parkway. The bicyclist was injured in the crash and transported to a local hospital. The driver fled his vehicle and left the vehicle at the collision scene with the bicycle still lodged underneath. Later, police apprehended the driver about a mile away in Chelsea, Massachusetts. Police in Revere have now identified the driver as 27 year old Josue Flores-Ochoa. Ochoa has been arrested and charged with several offenses, including leaving the scene of a crash, unlicensed operation of a motor vehicle, negligent operation of a motor vehicle and OUI-Liquor. The remainder of the accident remains under investigation. Massachusetts State Police are assisting local authorities in the investigation. OUI is a major cause of collisions across our state. Unfortunately, many drivers on Massachusetts roadways choose to drive while impaired on any given day. Impaired driving places not only the driver at risk, but also every other innocent motorist with whom they come in contact. The case of this Revere bicyclist shows that the consequences of OUI are often severe. While law enforcement officers make every effort to help get these drivers off the road, they cannot prevent every OUI-related accident from occurring. If there is any silver lining to this case, it is that the bicyclist is at least expected to recover from injuries which do not appear to be life-threatening. Certainly, the accident could have been even worse. If you or a loved one has sustained injuries due to the negligence of an impaired driver, we are here to help. 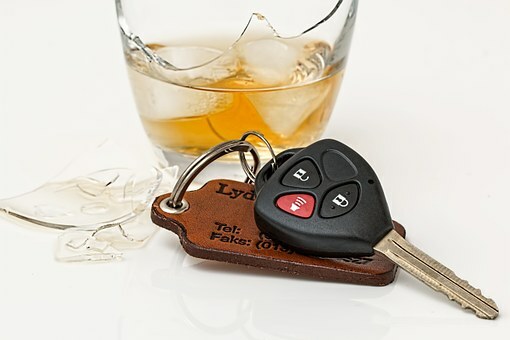 At the Law Offices of Jeffrey S. Glassman, we have represented the victims of impaired driving collisions for years. Our attorneys know the rules and important facts which turn OUI cases into favorable settlements for our clients. We offer free consultations to those injured in Massachusetts car accidents, including OUI accidents. We are always available and ready to assist you. Our firm does not charge a consultation fee to discuss your case with an attorney and we do not recover anything unless you also recover. Please call us today at 617-367-2900. We are standing by ready to assist you.